was a crucible of dodgeball fanatics as over 400 dodgeballers swarmed on court, all competing for the Last Man Standing Belt. Dodgeballs flew from every corner leaving nowhere to hide. No one was safe, friend turned on friend as belt fever took hold. By the end, player ran out of luck and and skill took over until one prevailed. 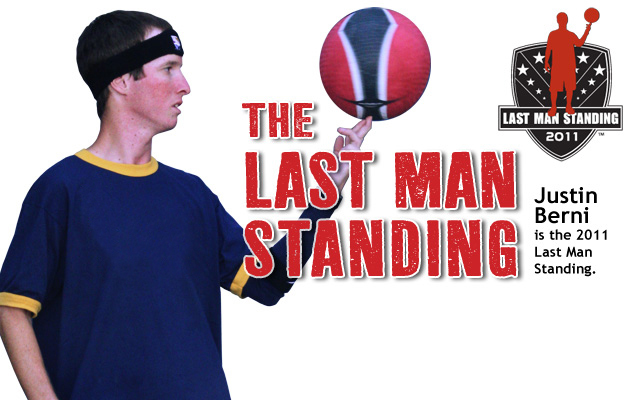 Congratulations to 2011's Last Man Standing, Justin Berni.